Even the causal sports fan will notice an unexpected upset, a colossal comeback and a terrific turnaround. 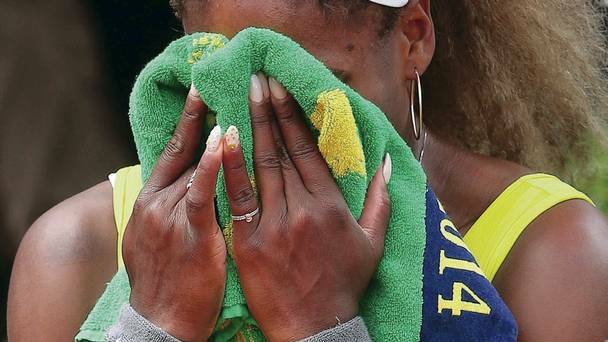 Venus Williams, Serena Williams and Roger Federer ALL lost in early round matches at the 2014 French Open. Each favorite was fried and toasted by the competition, all hungrier and thirstier than their heavily favored but not lightly taken opponents. The younger set that beat Federer and the Williams’ sisters simply wanted it more. Even the causal sports fan knows that if you don’t play hard and don’t play smart you could be a vanquished victim and a careless casuality. I don’t even watch tennis until Wimbledon and the US Open, but this news struck me as astonishing but yet not astounding. Spiritually speaking, when we take our opponents for granted and don’t bring our “A” game, were bound to be upended in an upset. So take it from me, never let your guard down, never play like you’re entitled to win, and never take a game for granted. And so sports fans, let’s learn the lessons of this year’s French Open. Let’s not be sordid statistics or various victims; let’s not be fractured fatalities or random road kill; let’s not become also rans or afterthoughts. We are not to be toasted by the enemy or fried by our adversary. We were born to win. We were born to dominate. We were born to overcome and succumb, we were born to advance and not retreat, we were born to rise and not fall. So let’s practice righteousness, let’s execute judgment, let’s live out our faith and live in harmony with God and thus we will always triumph in Christ Jesus.